These values can be set in Calibration workbench > Pattern settings. It must be an odd number of columns in order to define an unique origin of the pattern. The origin distance is the minimum distance between the origin of the pattern (bottom-left corner) and the pattern’s base surface. This value is used to define where is the pattern with respect to the turntable. 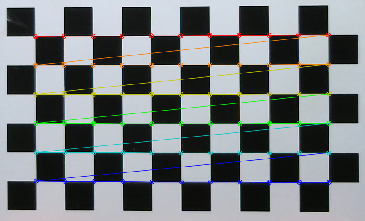 When the pattern is correctly detected, the following colored dots and lines are drawn. 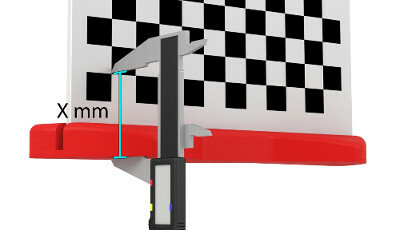 Check the Calibration workbench > Pattern settings. Adjust the camera settings in Adjustment workbench > Calibration capture > Pattern.